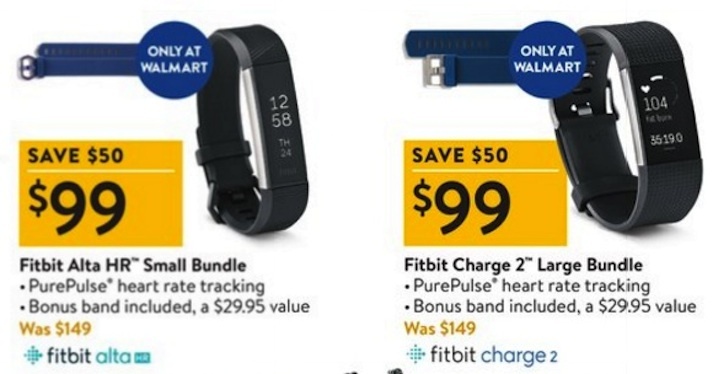 Find the best deals on the Fitbit Versa, Charge 3, Ace, Ionic, Alta and Blaze at retailers on Black Friday 2019. 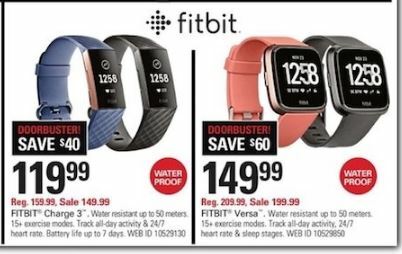 If you are shopping for a fitness wristband, activity tracker, or smartwatch, then consider these deals and discounts on the Fitbit from Thanksgiving Day through Cyber Monday 2019. 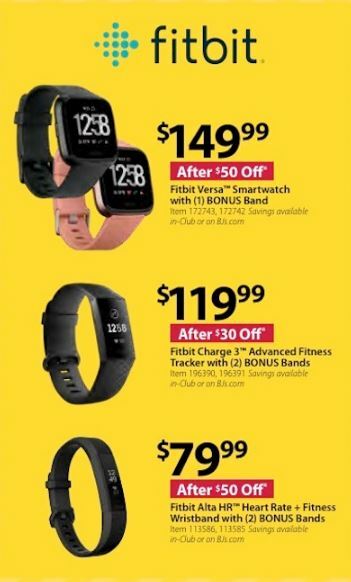 We will bring you info about the biggest and best deals and discounts here when the savings are announced online or in an advertisement for Black Friday 2019. 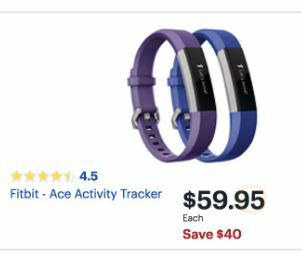 We are committed to helping you find the best shopping deals of the year from Amazon Prime Day to Thanksgiving Weekend. So get ready to save in 2019, 2020 and beyond! 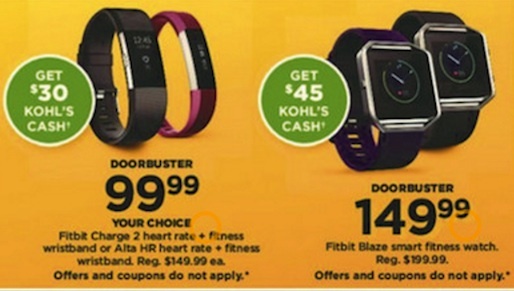 We’ve got a hold of the Kohls ad and they are on the list of doorbusters. 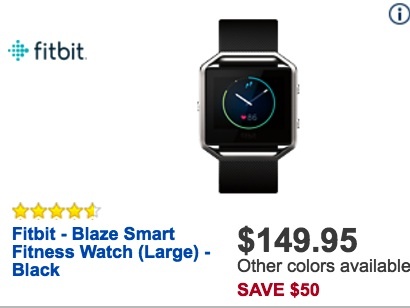 The Fitbit Blaze will be on sale for $149.99 (regularly priced at $199.99) and you will get $45 in Kohl’s cash. 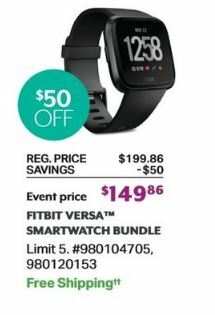 The Fitbit Charge 2 and Alta HR will both be on sale for $99.99 (regularly $149.99 each) plus you will receive $30 in Kohl’s cash. 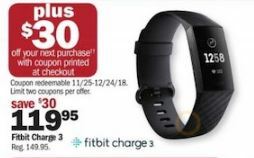 The doorbusters will start at 12:01 AM Central and in-store at 5 PM on Thursday. 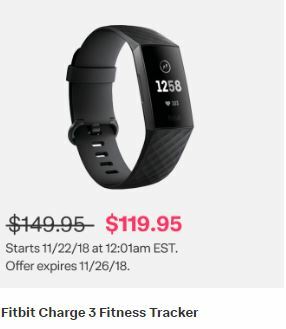 Sales are valid while supplies last or until 1 PM on Friday, Nov. 24th. 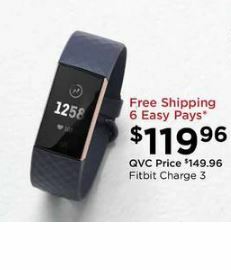 Fitbit Flyer – Fitbit’s first wireless headphones. 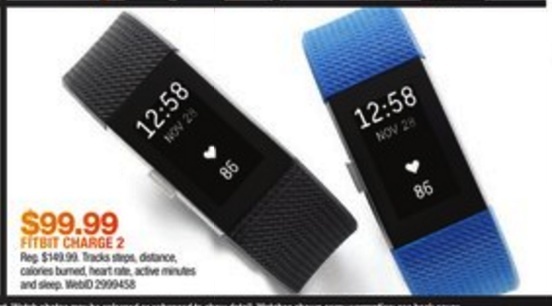 ItThe Flyer will be available in lunar gray or nightfall blue with a retail price of $129.95. 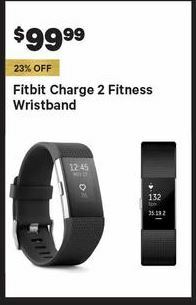 Fitbit Charge 2 – A heart rate and fitness wristband. 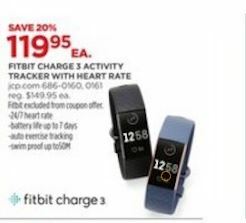 It tracks activity, exercise and sleep with a continuous heart rate monitor, connected GPS and multi-sport modes. 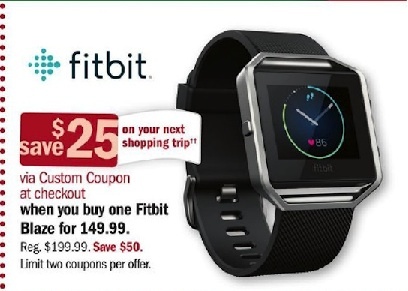 Fitbit Alta – A fitness wristband with reminders to move, all-day activity monitoring and sleep tracking. 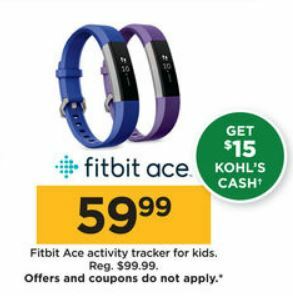 Tracks your steps, distance, calories burned and active minutes. 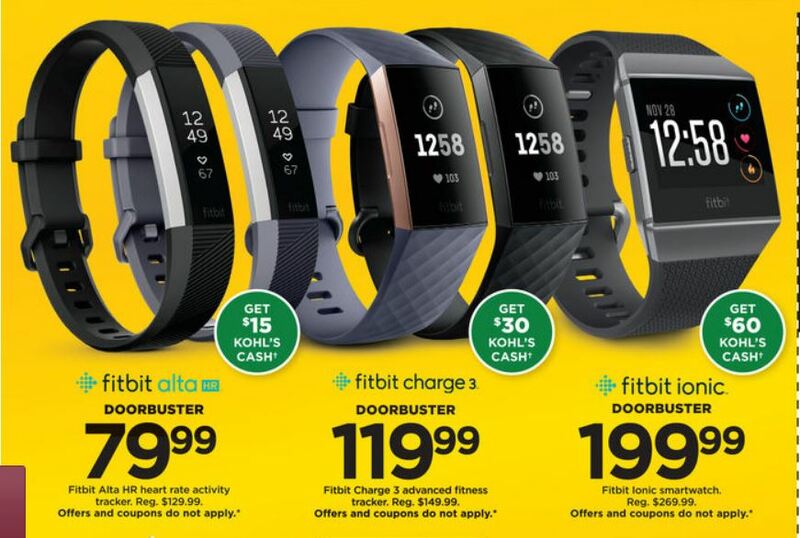 Fitbit Blaze – A smart fitness watch with GPS, continuous heart rate, on-screen workouts, and multi-sport tracking that innovates the workout experience. 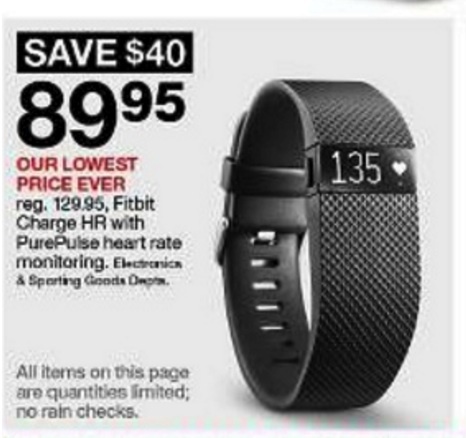 Automatically tracks any exercise you do. 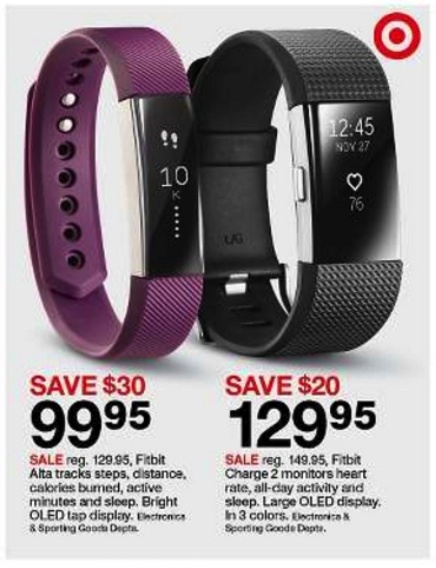 Fitbit Flex 2 – An inexpensive, ultra-thin, swim-proof fitness wristband. 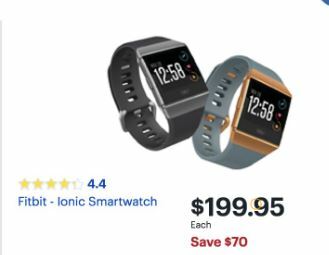 The Fitbit Ionic and Flyer will have only been on the market for less than two months before Black Friday 2017. 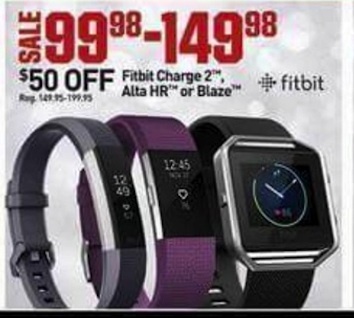 They will be in demand and retailers probably won’t be discounting them too much. 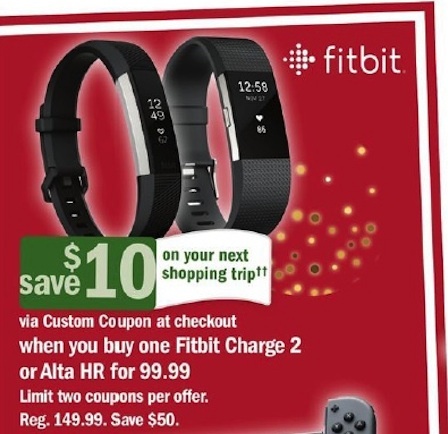 But you will probably find great deals on the Charge 2, Alta and Blaze if you look around online.